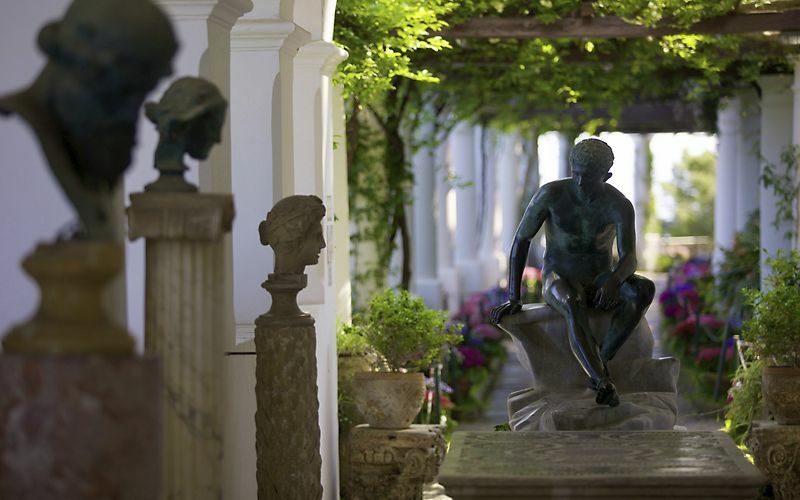 The marvelous museum in Axel Munthe's dream home in Anacapri. "My home shall be open for the sun and the wind and the voices of the sea - like a Greek temple - and light, light, light everywhere!" 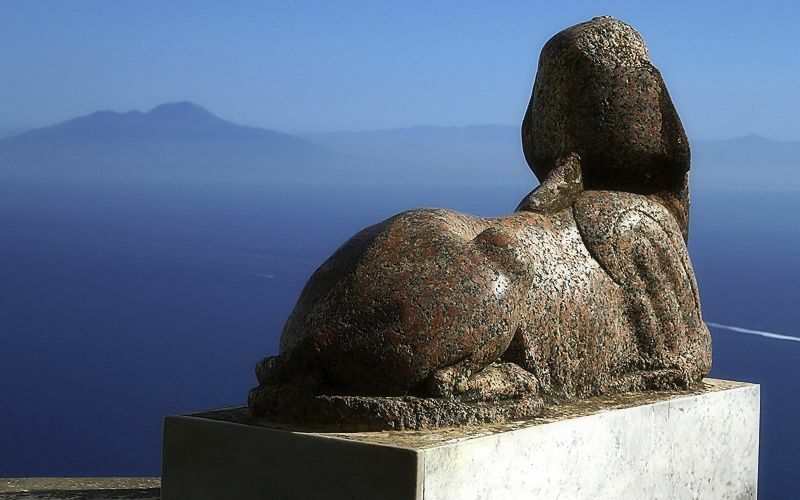 This is how Axel Munthe described Villa San Michele, his beloved home on the island of Capri. 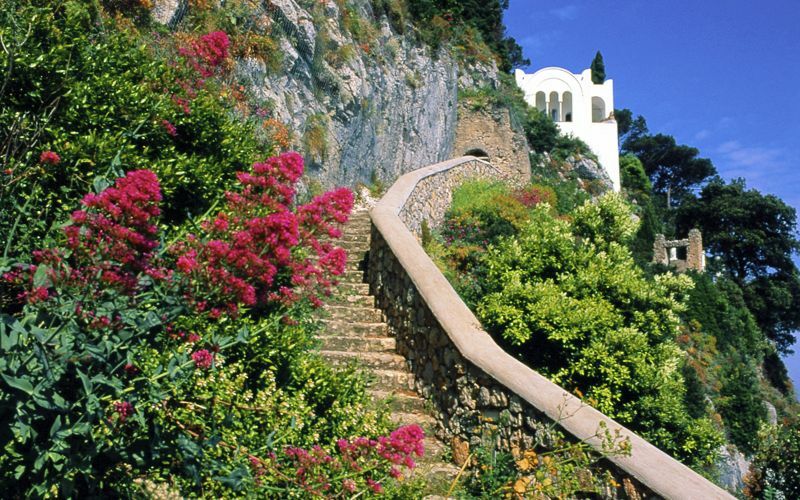 The Swedish physician chose the most scenic spot on Capri to build his villa, northwest of Anacapri and 327 meters above sea level on the spot where there was once an Imperial Roman villa and a Medieval chapel dedicated to Saint Michael. Munthe dedicated much of his life to the construction of the villa and surrounding gardens. At the time, the countryside around Capri was strewn with the remains of Roman villas, pieces of marble columns and statuary buried just underneath the top layer of soil. The islanders who worked the land called these finds Tiberius' things and began giving them to the transplanted physician, who added them to his collection of Roman, Etruscan, and Egyptian artifacts accrued during his frequent travels. Included among the more important works visitors can view at Villa San Michele are the head of Medusa and the marble bust of the Emperor Tiberius which once adorned the temple dedicated to Venus and Rome, sacred Medieval art, Tuscan furnishings from the 1700s, Roman frescoes and statues, a marble table decorated with Cosmatesque mosaics, a Sicilian lamp in wrought iron, and an Egyptian sphinx, which has become the symbol of Axel Munthe's residence and is placed in one of the most panoramic spots in all of Villa San Michele. 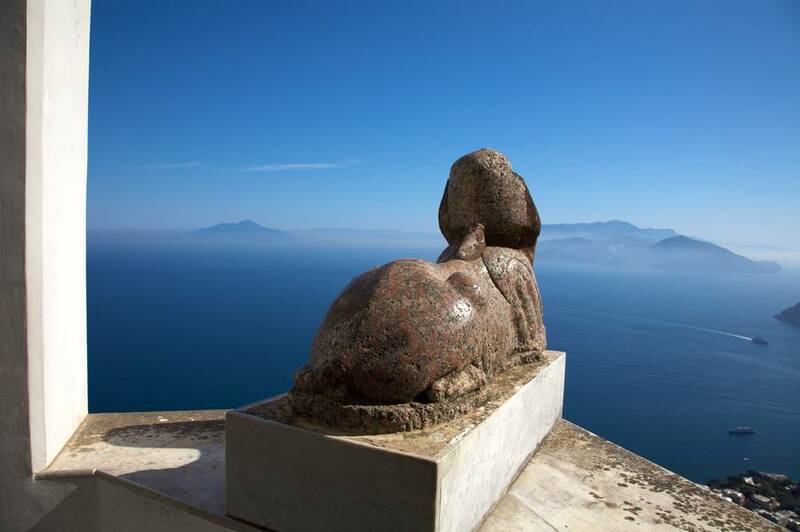 Legend holds that if you rest your left hand on the sphinx and make a wish while looking out over the sea of Capri, your wish will come true. The surrounding gardens are lush with Mediterranean flora, including camelias, hydrangeas, beautiful rose bushes, and pine and cyprus trees. 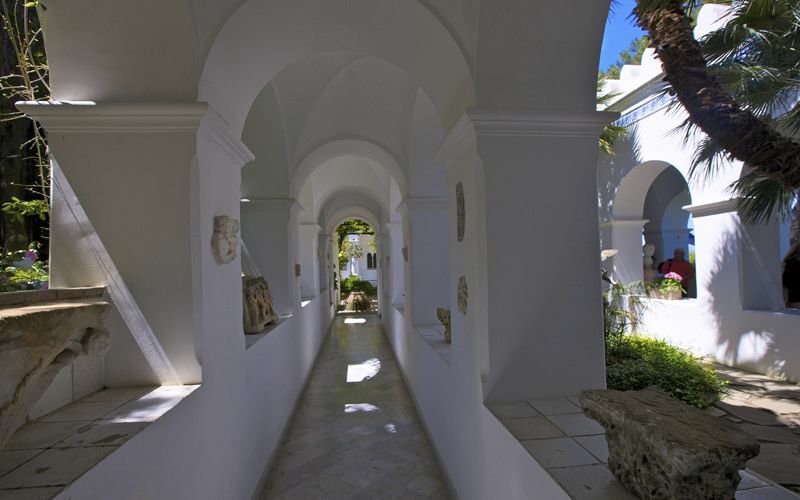 This is encircled by a white, trellis-covered colonnade, characteristic of the island's villas. 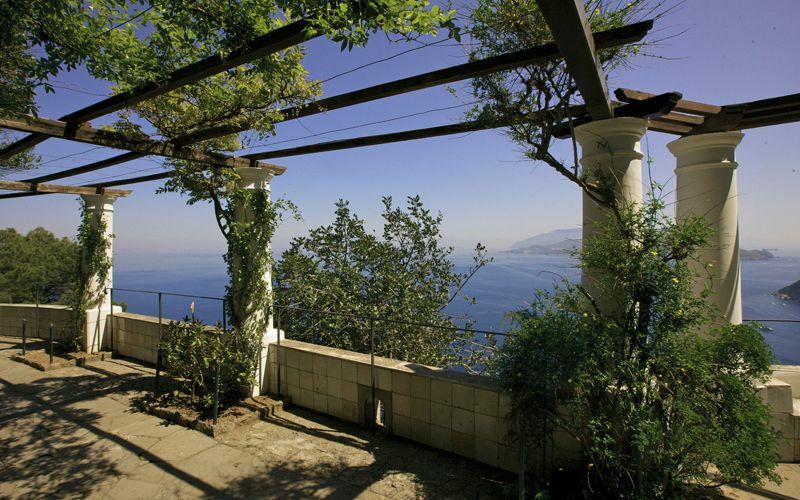 From the garden, the view over the Gulf of Naples is unforgettable. Today, Villa San Michele is a museum open to the public and in the summer season hosts a music festival, the Concerti al Tramonto. The story of the villa's construction is told by Munthe in his best-selling book, "The Story of San Michele", one of the most widely translated books in the world. 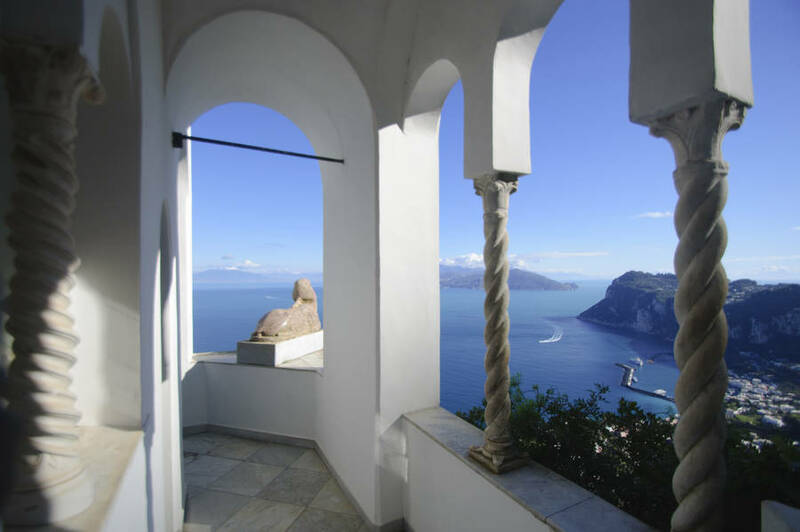 'How to Reach Villa San Michele: From Capri, take the bus or a taxi to Piazza Vittoria in Anacapri. Take the stairs opposite the bus stop, and continue left.